Largest of the owls. A winter visitor which can remain behind to breed. It is distinguished by the ear tufts and large orange eyes. 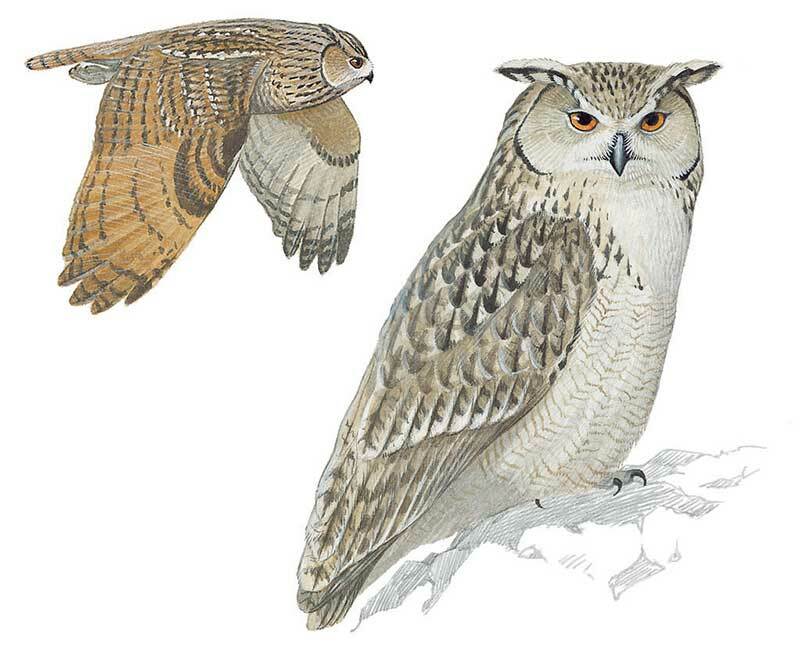 Like other owls it is nocturnal but can be spotted also during the day hours. Feeds on small birds, rodents, insects, scorpions and has been observed feeding on large hares.